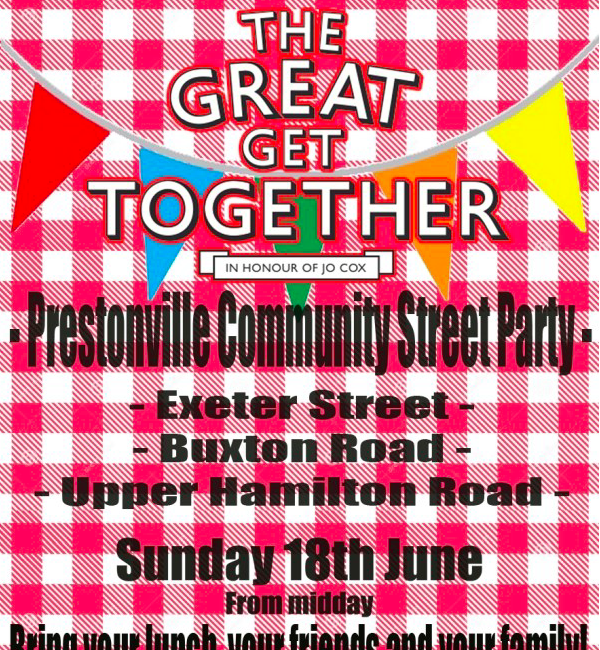 On Sunday 18th June 2017, Exeter street hall, St Lukes Church and The Prestonville community association are hosting the Prestonville community street party. They are inviting you to come and bring your lunch, friends and family along for a day of community led fun. Exeter street, Buxton Road and Upper Hamilton road are set to be closed for the event so please come along with your own tables, chairs, blankets and food! We have been promised live music as well as children games and there will be a Chair decorating prize. The chimney House will be getting involved by extending our outdoor seating area outside the pub as well as offering bar snacks, sandwiches and other food from the kitchen and our bar will also be open all day till 11pm. If you would like to reserve a table for food then please book here or give us a call on 01273 556708. Front Room Folk will be playing live music outside The Chimney House with ceilidh dancing from 5.30pm till 6.30pm, The music will then move inside the pub from 7.30pm till 11pm! We hope to see all of the community there!